With market stalls, food trucks, a roaming Santa, live music and plenty of children's activities there is festive fun for everyone at The Cannery Christmas Markets. Festive cheer is in the air this month at The Cannery Rosebery. 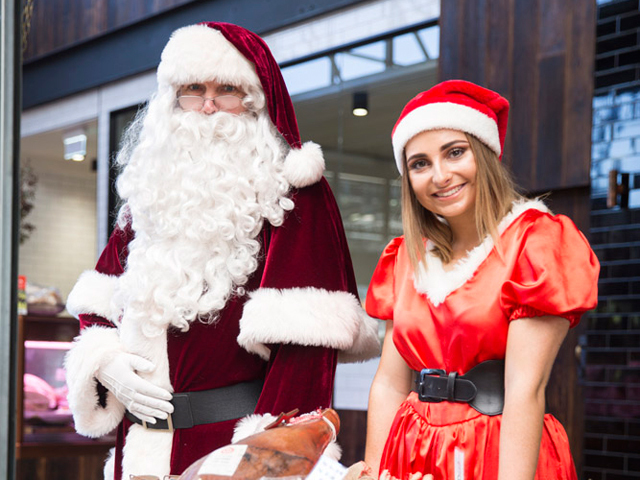 In addition to the regular monthly market, the historic precinct is hosting an ultra-special Christmas Market Day to help Sydneysiders prep for the big day. On Sunday 16th December visitors can enjoy perusing 42 unique indoor and outdoor market stalls, and taking photos with Santa as he roams the 11,000sqm of revived warehouse space. There's no shortage of entertainment for the kids with a jumping castle, craft activities and a special gingerbread house making workshop. Guests are encouraged to book one of the three gingerbread house activities in advance to as places are limited. Playing on The Cannery's strength as Sydney's leading hub for foodies, there will also be numerous treats on offer including two pop-up food trucks featuring Mexican and vegan cuisines, an ice cream cart, lemonade and popcorn stalls, plus The Cannery's regular cafes and restaurants including some of the best quality names in Sydney; Welcome Dose Specialty Coffee, Grain Organic Bakery, 5th Earl, Zeus Street Greek and Banh Xeo Bar. There's something for everyone at our Christmas Market Day," says precinct manager, Natasha Cauvin. "We look forward to welcoming the community for a day of festive fun, where people young and old can enjoy our fantastic selection of market stalls, activities and live music." "We'll also be running a special Yuletide competition on the day exclusive to market visitors, with some fabulous prizes from Archie Rose Distillery Co, Kingsmore Meats, The Redspoon Co. and more up for grabs." Entry to event is free and guests are advised to walk, ride their bike, or use local transport to attend.